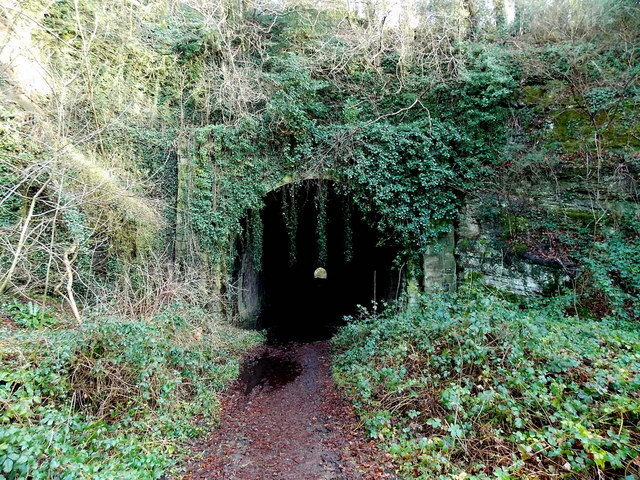 The 235 metre long tunnel is located immediately east of the site of the former Usk railway station, on the east bank of the River Usk. The half moon of the far exit can be seen. The tunnel can be walked through without the need for artificial light. On my visit in January, I kept to the centre of the trail through the tunnel to avoid water that had collected along each side of the tunnel. After a rainy night, water was leaking from the tunnel roof in several places, so a waterproof hat is recommended!